Texas Christian University received a A. Located in Fort Worth, TCU is a Christian school (as its name implies) that offers the nation's first academically affiliated program in ballet, but students seem more attracted to the business school; nearly one in ten business majors enters an MBA program within a year of graduation. Horned Frog athletics are huge as well and a strong Greek system rules social life. What is a typical Texas Christian University student like? Describe the type of person that should attend Texas Christian University. Someone who gives a lot of importance to academics and extra curricular activities is fit for TCU. An intelligent, hard working and talented individual should come as all of these qualities are highly valued here. What are the top 3 reasons someone should attend Texas Christian University? What was a typical Texas Christian University student like in high school? Describe the type of person that should attend Texas Christian University. A Texas Christian University student was spirited, involved, and hard working in high school. This reflects now in our current student body, who manage to maintain good grades, land great jobs, be involved in school, and embrace new experiences. TCU's standout programs are business, nursing, communications, engineering, and fine arts. There are many non-drinkers and more alternative social venues for them to enjoy. The school works hard to consider applications holistically. The two most popular majors are business and communication journalism. What are the top 3 things that students do for fun at Texas Christian University? 10% of students received Pell Grants, which are provided by the U.S. government to students from middle and lower income families. It gives you an idea of a school’s socio-economic diversity. Campus housing is available for undergraduates. Housing deposit : $400.00. Housing deposit due : May 1. Housing deposit is partially refunded if student does not enroll.. Freshman allowed to have car. No pets. 42% of male students live in fraternities. The average student pays $30,495 for tuition, fees, and other expenses, after grants and scholarships. Total stated tuition is $36,500, in-state and on-campus, before financial aid. Learn more about financial aid at http://fam.tcu.edu. Estimate the net price for you at http://www.financialaid.tcu.edu/npc.asp. The typical (median) early career salary of Texas Christian University graduates is $47,500, according to Payscale. Texas Christian University participates in the NCAA Division I-A for college athletics. 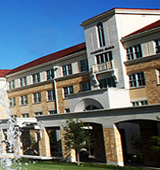 Want more info about Texas Christian University? Get free advice from education experts and Noodle community members. Can you tell me more about the Texas Christian University study abroad program? What can Texas Christian University transfer students expect when they arrive on campus? What are three fun facts about Texas Christian University that someone attending your school next year should know? Our mascot is the Horned Frog, a small horned lizard. When they are angered or frightened, they can squirt blood from their eyes. Over half of the student population (51% to be exact) is from out of state! What are three Texas Christian University events everyone should know about? What are 10 things you need to do before Texas Christian University graduation? Can you name top restaurants near Texas Christian University? What are 10 things you wish you knew before attending Texas Christian University? How do you make the most out of your experience at Texas Christian University? What are the three questions a prospective student should ask on the Texas Christian University campus tour? What advice would you have for someone thinking about going to Texas Christian University? Absolutely do it. I’ve never been happier than I have been here at TCU. This school offers an incredible education, in a beautiful and scenic environment, on a friendly campus, filled with amazing people and opportunities. What are some words of advice you would give to a Texas Christian University freshman? What are some Texas Christian University activities students can participate in to feel part of the greater Texas Christian University community? What are Texas Christian University sports like? Intramural sports? Varsity teams? What is Texas Christian University dining like? What kind of Texas Christian University work study jobs can I get on campus? What are some student jobs I can find on campus? What are the Texas Christian University dorms like? What can you say something about the Texas Christian University public safety? Are there Texas Christian University tutoring services? Can you describe your freshman year at Texas Christian University? How does the Texas Christian University health center help students with stress management? How would you rate Texas Christian University student health center services? Is there student activism on Texas Christian University campus? Can you tell me more about it? Where can Texas Christian University students go to watch concerts? What artists have visited campus? Are there services for Texas Christian University commuter students? How big are sports at Texas Christian University? How excited do students get about them? What Texas Christian University clubs can I join? Can you tell me how to get involved on campus at Texas Christian University? How does Texas Christian University career services help students to find a job after college? I have always wanted to join a sorority. What is Texas Christian University Greek Life like? Do Texas Christian University advising offices help you choose your major? What are the most popular Texas Christian University majors? What is there to do on the weekend at Texas Christian University? Do most Texas Christian University students go away on weekends or stay on campus? Are there any good Texas Christian University off campus housing options? Is moving off campus something Texas Christian University students do? I want to join a ton of Texas Christian University clubs. What are some ways I can balance out a social life and clubs? This is the first time I am going to be living with a roommate. What are some insiders tips you have to getting along? What resources does Texas Christian University have to resolve roommate conflicts? What are some cheap and free date ideas Texas Christian University students can enjoy around campus? What can you tell me about the Texas Christian University class registration process? What are some tips you would like to share from your experiences? I am going to live in Sherley Hall next year, a dorm room with no kitchen. What would you recommend I have on my dorm room checklist? What are some tips to keeping healthy and fit at Texas Christian University? Can you tell me more about what kind of student discounts Texas Christian University students can take advantage? Can you tell me some insider tips for getting good grades at Texas Christian University? Are there tutoring services you can tell me about? Can you tell me more about Texas Christian University career services? How did it help you getting an internship? How easy is it to move around the Texas Christian University campus? Is there a transportation system I can use to move around the city/town? What can you tell me about Texas Christian University fashion? What should I include in my wardrobe before I step onto campus? How did Texas Christian University influence your major? What is it about the campus, the people, and the experience that made you go in that direction? What are some secrets to surviving freshman year at Texas Christian University? What would your advice be for someone who wanted to take part in the Texas Christian University study abroad program?